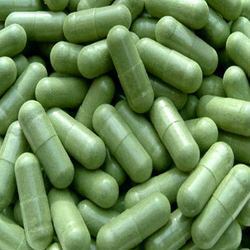 We have gained years of experience in the field of manufacturing, supplying and exporting of Ayurvedic Capsules. We offer a wide range of herbal products that have much purity in it. These products are manufactured by vedic and ayurvedic techniques with the lack of side effects. Regular use of these products cures many health problems. Our company is one of the most eminent suppliers, manufactures and exporters of Relivax Capsules. These capsules are made by using herbal ingredients with no chemical compounds and are useful for relieving muscle pains, joint pains and arthritis. We assure that our product is free from harmful chemicals and prove with no side effects. These products are manufactured under the supervision of medical experts by using the advanced technology. we provide you in bulk quantity and third party labeling (In Marketed By). 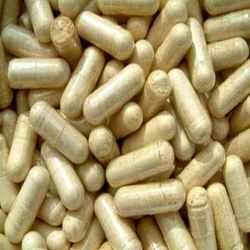 Our company is one of the most renowned and trusted in the supplying, manufacturing and exporting of Diablex Capsules. These products are highly effective and beneficial Ayurveda capsules, which are used in the treatment of Diabetes. Our company made these products by using natural plant extracts and herbs with the use of latest technology and hi-tech machinery. These products contain a large quantity of antioxidants, which are also helpful in digestive disorders and effective for both Diabetes type I and II. 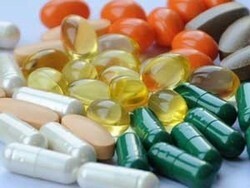 Our company is one of the most eminent suppliers, manufactures and exporters of Energy Max Capsule. These capsules are made by using herbal ingredients with no chemical compounds and are useful for relieving muscle pains, joint pains and arthritis. We assure that our product is free from harmful chemicals and prove with no side effects. These products are manufactured under the supervision of medical experts by using the advanced technology. Used for Mascular Strength and Biotelity. Looking for Ayurvedic Capsules ?